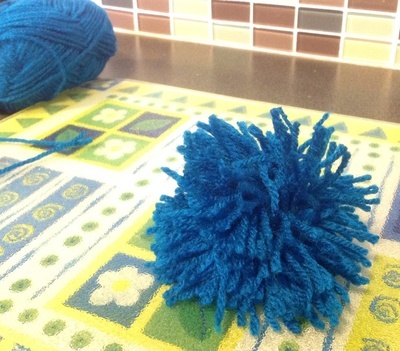 This is a much simpler way to make pom-poms than you might have learnt. Cardboard circles are dispensed with, and instead you just need a hand. You can make all sorts of sizes and colours. Pre-cut a couple of strands of wool about 30cm long. Put them to one side. 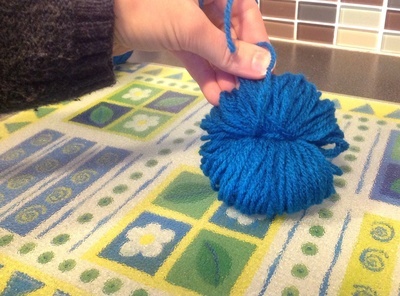 Using the main ball of wool, wind the wool about 50-100 times around your hand. 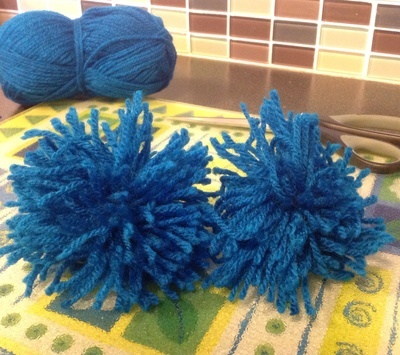 To make smaller pom-poms, use fewer fingers. You might need fewer winds for the smaller pom-poms, but for a big one on all your fingers, wind about 100 times. It will make a fluffy pom-pom. 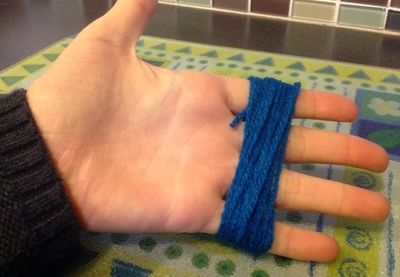 Keep your fingers slightly apart so you can get the wool off easily, and so your circulation isn't cut off. Slide the wool off your fingers. 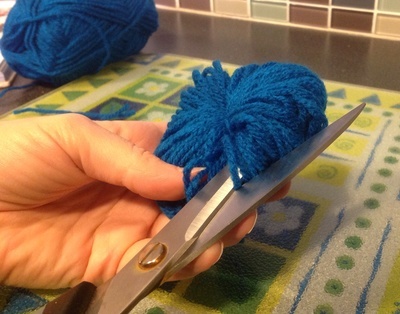 Wrap the pre-cut wool around the middle of the pom-pom and pull tight, like a belt. 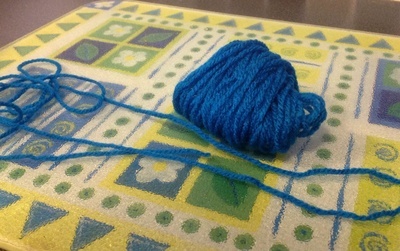 Once you have done it with one string, do it with the other one too, as you will be able to pull it more tightly. 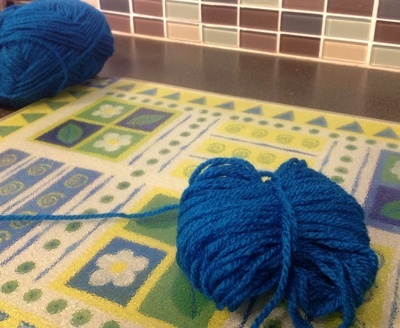 Cut the through the loops of wool. 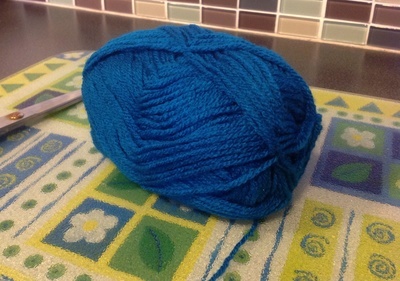 Fluff the the wool out to make bring the pom-pom into its proper shape.